'Avengers Academy: The Complete Collection Vol. 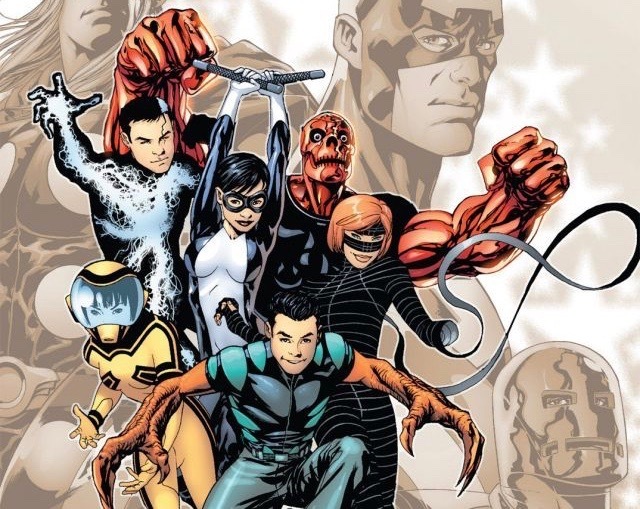 1' review: Revisit Marvel's terrific teenage Avengers spinoff – AiPT! The likable original characters at the heart of Avengers Academy: The Complete Collection Vol. 1 steal the show. Not long after starting the 400-page tome that is Avengers Academy: The Complete Collection Vol. 1 did I find myself asking, “Where the heck did all these great characters go?” Now, if you’ve read this entire series (this volume only features issues 1-12), then you probably know the answer to that question. And, sure, I could fire up the ole Google, but I’ll just wait until Avengers Academy: The Complete Collection Vol. 2 is released in May. But the lack of well-rounded original characters like Veil and Mettle in current “Legacy” titles highlights one of Marvel’s greatest weaknesses, in my opinion. Creators are always introducing new characters, but not many of them stick around beyond story arcs and series. To his credit, Brian Michael Bendis was great at picking up newer (and neglected) characters, such as the Sentry and the Hood, and keeping them in print. But Bendis is gone now, so hopefully someone will pick up where he left off and bring back some of Avengers Academy’s stars. Let’s rewind, though, for every reader who’s still wondering what exactly Avengers Academy is. Based on the few issues of Avengers: The Initiative I read, Avengers Academy was pretty similar–training tomorrow’s powered individuals to grow up and become responsible super people–with a twist! You see, when Donald Trump–I mean Norman Osborn was in charge of keeping the Marvel Universe safe during the now all-too realistic Dark Reign storyline, the power-hungry madman was torturing and training a group of powered teenagers. In the Heroic Age, the Avengers realized these kids–Veil, Finesse, Mettle, Hazmat, Reptil and Striker–had the potential to become tomorrow’s Masters of Evil. So, Avengers Academy was formed to, hopefully, steer them in the right direction, under the instruction of some of the Avengers’ biggest screwups, including Hank Pym, Quicksilver, Justice, Tigra and Speedball. Yes, Speedball… perhaps Marvel’s greatest screwup of all time (See Civil War). It’s a strong concept, courtesy of writer Christos Gage, that brings back memories of what made the original Thunderbolts so special. Flawed characters are my favorite characters, and they’re all over the pages in this collection. Hazmat, or Jennifer Takeda, for example, is toxic to those around her, so she must wear a specially designed hazmat suit at all times. Then, there is Striker, or Brandon Sharpe, who was thrust into show business by his mother at a young age and grew up to be arrogant and entitled. And these are just the students. You all know how messed up Hank Pym and Quicksilver are! Perhaps what I enjoyed most about the first 12 issues of Avengers Academy was how much greater the focus was on characters over action. Don’t get me wrong, there are battles with classic villains like Whirlwind, Taskmaster and Arcade sprinkled throughout, but a significant bulk of this trade paperback is devoted to character development. How each character grows over the course of 22 pages is what you remember, not who they punched. From Reptil’s rise to team leader and Finesse’s need to learn who her parents are to Hank Pym’s struggle to move on with his life following the “death” of the Wasp, there’s just so much story packed into these pages. Gage also does an excellent job of writing teenage characters. It can be difficult to do so–in a lesser writer’s hands, there could be some very cringeworthy moments. But Gage manages to give us a very likable cast of very damaged people, trying to do good. Except Striker… that guy’s hard to like. A number of solid artists provide the visuals, with Mike McKone, the series’ main artist, probably being my favorite. McKone excels at capturing emotion through his characters’ facial expressions, and his polished pencils are well suited for both the traiditonal superhero action and those more intimate teenage moments. Jorge Molina, Sean Chen and Tom Raney also pitch in. As each of these artists is excellent on their own, don’t expect the usual fill-in material. This collection also includes Avengers Academy Giant Size #1 by Paul Tobin and David Baldeon, as well as Thunderbolts #147 by Jeff Parker and Kev Walker. So, trust the title, this is indeed your “complete” Avengers Academy collection. Well, the first part, at least. In terms of extras, you get several pages worth of alternate covers, sketches, character profiles and an interview with Gage. So really, at $34.99, this volume is quite a steal, considering you would have paid more for the original comics it contains. I really don’t have anything bad to say about this book, and it even makes me want to revisit Avengers: The Initiative for similar stories. So if you’re an Avengers fan who missed it the first time around, or enjoy following the adventures of young superhero teams like the New Mutants or Generation X, do yourself a favor and enroll in Avengers Academy. After discovering the terrific characters in this collection, you too will wonder why they aren't starring in current Marvel Comics... because they should be! Excellent writing from Christos Gage and wonderful art from Mike McKone and company. The teenage characters are likable, well-rounded and too cool to have vanished into obscurity. Gage takes his time developing multiple plot lines in a series where character--not action--rules the day. It's $34.99, but believe me, you get your money's worth.